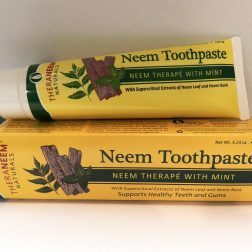 Commonly known in India as the “Village Pharmacy,” Neem twigs are frequently used to clean teeth. 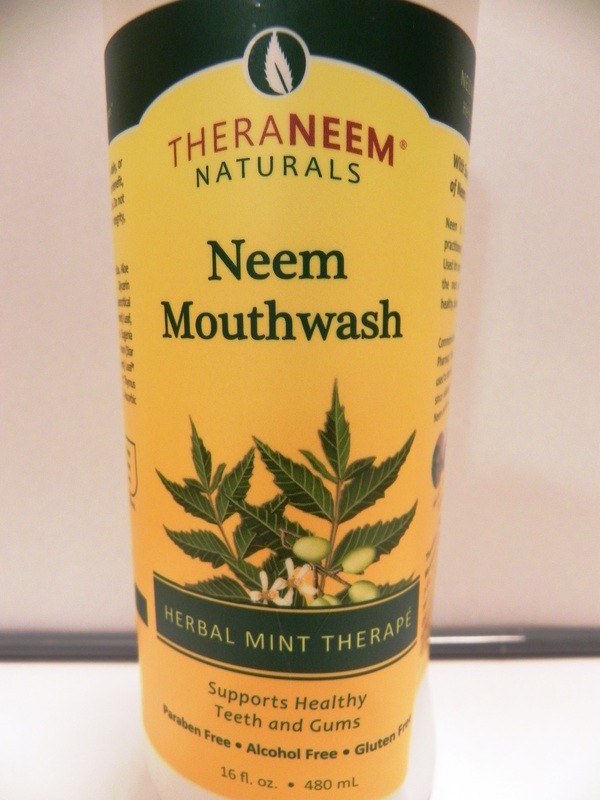 Modern science has since validated the traditional uses of Neem Leaf for oral care. 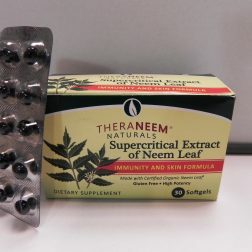 Ingredients: Deionized Aqua/Water/Eau, Aloe Barbadensis Gel*, Sorbitol, Glycerin (Vegetarian), Poloxamer 407, Supercritical Extracts of Mentha Piperita (Peppermint) Leaf, Mentha Vlridls (Spearmint) Leaf, Eugenia Caryophyllus (Clove) Bud*, Illicium Verum (Star Anise) Oil*, Azadirachta Indica (Neem) Leaf* and Azadirachta Indica (Neem) Bark*, Thymus Serphyllum (White Thyme) Leaf Oil, Ascorbic Acid, Xylitol, Potassium Sorbate.